Hi there! Two more of my pieces appeared in the in the winter 2015 edition of Catching Calliope, a Swimming with Elephants Production. The poems are Be Gentle and Listening. 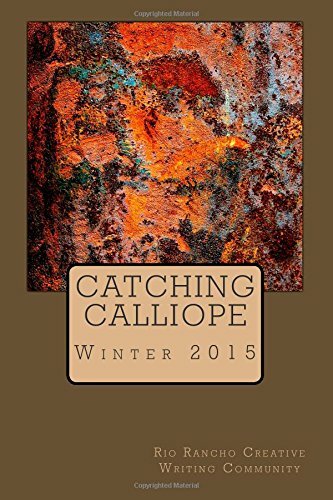 This anthology really has some incredible work in it — fiction and memoir as well as poetry. All the authors are Albuquerque writers and many are quite young. After reading 4-5 pieces I have to put the book down and spend a few days letting them sink in! You can purchase a copy on Amazon, or support local, small businesses and purchase (for cheaper) at Bookworks ABQ or Cafe Bella Coffee. Enjoy!